This gives the same great performance and capacity as the standare 120 quart cube box but includes a divided interior for separation of contents. 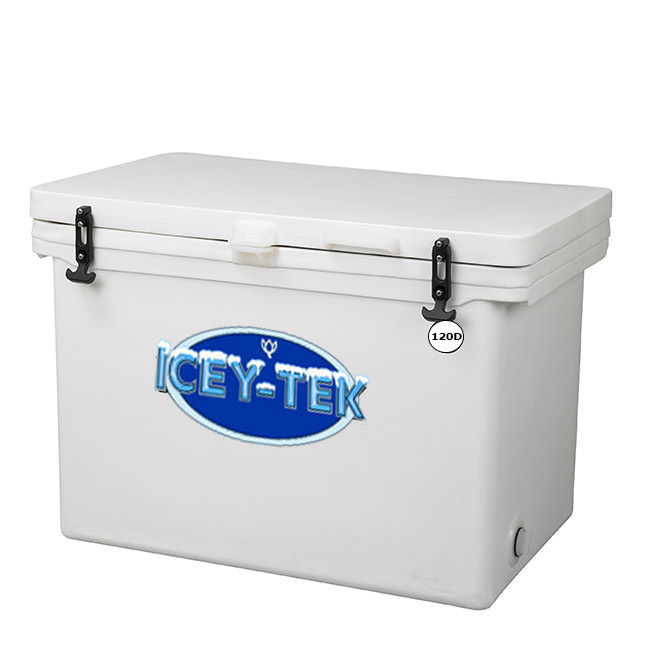 As with all Icey-Tek coolers, the 120 quart cube box is manufactured from commercial grade quality components and materials for ultimate performance. Rotomolded polyethylene creates color and wall thickness uniformity on all exterior surfaces and is coupled with a non-staining, non-odor absorbing, impact resistant polyethylene food grade internal liner. 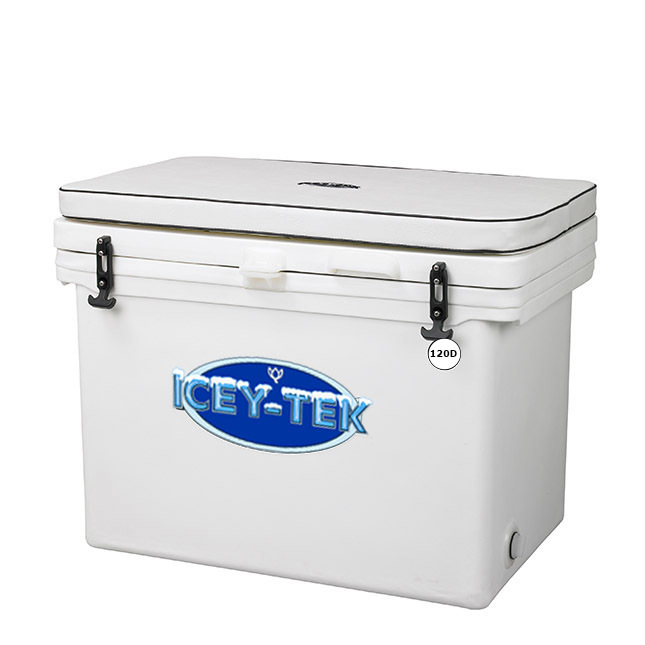 Superior ice retention is achieved by utilizing a premium grade medium density polyurethane foam insulation injected under pressure within all wall cavities and the lid. Three heavy duty self stopping lid hinges are both welded and screwed for maximum strength and a neoprene gasket ensures a tight seal between the lid and cooler body. Includes lock mount, lid lift handle, premium silicone Southco® latches, and two drainage ports - one on each side. Comes in a choice of 2 colors but other colors are available by special order.